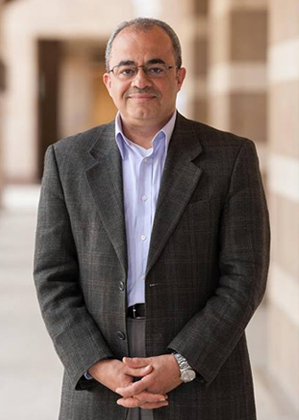 Dr. Emad Shahin speaks with NPR about progress in Egypt since the Arab Spring. It’s been four years since Egyptian President Hosni Mubarak resigned during the Arab Spring. Since then, the new government has cracked down on dissent. Four years ago today, this was the scene in Cairo’s Tahrir Square. GREENE: Hundreds of thousands of people cheered the announcement that Hosni Mubarak, the longtime Egyptian dictator, had resigned following weeks of mass demonstrations. It was Egypt’s Arab Spring. What a difference four years have made. GREENE: This is what it sounded like late last month. People were in Tahrir Square, laying flowers to remember the Arab Spring, when Egyptian police allegedly opened fire, killing at least 20 people. The new government is conducting a sweeping crackdown on dissent. Egyptians from all walks of life have been rounded up and in many cases given the death penalty or life in prison for speaking out against the regime. We’re spending some time this morning looking at Egypt and how things have changed since that euphoric moment four years ago. We asked NPR’s Cairo correspondent, Leila Fadel, to describe the situation today. LEILA FADEL, BYLINE: Right now what we’re seeing really is an absolute rejection of any type of dissent. And so if you’re protesting in the street, then you deserve to be jailed or gunned down. Even organizations that work on things like imprisonment and torture, which is needed now more than ever because they’re saying it’s worse than they’ve ever seen in really modern history, including under Mubarak’s time, they can’t operate because people don’t want to talk about it anymore. GREENE: Well, and one important thing to understand about Egypt – I mean, we know that the military regime in place now has gone after supporters of the Muslim Brotherhood and Mohammed Morsi, who was their president. He was removed. But this crackdown is just targeting people all across the political spectrum. FADEL: That’s true. So it started off with Islamist supporters of the Muslim Brotherhood. And that was really welcomed by a lot of the Egyptians in Egyptian society who were angry at the Muslim Brotherhood and their leadership. But now it’s gone much further than that. It is targeting a lot of secular activists, major faces of the 2011 revolution. So really, it feels like a reversal – a counterrevolution, as people call it – a counterrevolution of everything that did happen and a reinstatement of authoritarian tendencies. Now, this is an elected president, but he was part of the military. He got more than 90 percent of the votes on the day of election at a time where anybody who spoke out against the authorities were being put in jail. GREENE: And let’s hear from someone now who nearly ended up in jail. It’s Emad Shahin. Four years ago, he was a professor of political Islam at the American University in Cairo. He was part of the crowd in Tahrir Square as Mubarak fell. EMAD SHAHIN: And I wasn’t thinking of anything. I was just watching all these numbers, the crowd, the joy, the sense of hope. It was just, you know, a momentous time. And you see waves and waves of youth happy that Mubarak and his dictatorship fell. And, of course, each one had a dream – freedom, dignity, social justice. But things, of course, went the other direction. GREENE: Things went very much in the other direction for Emad Shahin. He’s a renowned scholar who’s been critical of Egyptian leaders past and present. And the military-backed government last year accused him of espionage. His trial has gone on without him because he fled the country and made it to Washington, D.C., where he now teaches at Georgetown University. I began by asking him to compare the current regime of President Abdel Fattah el-Sisi to that of Mubarak. SHAHIN: Mubarak was, of course, an aging regime. There was some kind of outside pressure for more pluralism, for allowing, you know, more dissent and so on. And Mubarak complied, more or less, because he wanted to ensure some kind of transition of power to his son. This regime is totally different. This is a regime that’s trying to reinstitute a tight grip and firm control of the military over the economic and political resources of the country. It has been doing this through repression, killing any voice of dissent from any walk of life. GREENE: I have to ask; do you sometimes wish Tahrir never happened? Do you sometimes wish the Arab Spring never happened? SHAHIN: No. Tahrir Square is really, really historical. Like, if you would like to mark Egyptian history, modern Egyptian history, with some kind of clear landmarks, definitely Tahrir Square would be one of them, that this was some kind of really, really people’s power in terms of solidarity, in terms of unity, cooperation, all these kind of idealistic, romantic, call it whatever you call it. But it was there. It was there. GREENE: Where does your optimism come from? SHAHIN: The youth. The youth. One major achievement of 2011 is that the youth managed to break the field barrier. If you look at the numbers I’m mentioning and the logic behind this number is – what? – to re-instill the fear once again into the hearts and minds of Egyptians. This is exactly the tactic that any authoritarian regime tries to apply in order to control. GREENE: And you’re saying it’s not working. You’re saying the youth are not frightened. SHAHIN: Exactly. The youth – exactly – have managed to break this fear barrier. The regime is trying very hard to re-instill it. And this is actually the essence of the struggle. And, of course, at a very high cost because what’s happening right now is that this regime – Sisi’s regime – is pushing Egypt towards further radicalization. GREENE: You’re along with so many others in self-exile now. Do you see a time when you could return safely to Egypt? SHAHIN: Yes. Definitely. Who would have predicted in 2011 that the kind of routine protests again as the police would lead to the removal of Mubarak and this massive uprisings? All what it takes is a tipping point. And the tipping point could come very easily, unexpectedly. It could be due to economic hardship, repression, feeling of repression and feeling of enough is enough. And I think the trajectory that this current regime is taking is actually precipitating this tipping point. GREENE: That’s Emad Shahin, a visiting professor at Georgetown University who’s living in the United States in self-exile. NPR’s Cairo correspondent Leila Fadel is on the line still. She was listening there. And, Leila, I just wonder, I mean, there’s a real sense of optimism from Emad Shahin. Do you hear that sense of optimism from Egyptians who are in the country? FADEL: I wouldn’t call it optimism. But I would say that people who have been working on issues of human rights, they have that similar sentiment of something’s got to give. This can’t continue. The government is overreaching. And by sentencing 100, 183 people to death in one court case, something has got to give. And that’s where that hope comes from, that by overreaching, by being so harsh, there will be a new revolt. But I don’t know if that’s necessarily true. You still do have a lot of the population saying people need to come under the rule of law. We’re living in a very dangerous region. So you do hear a lot of this something’s-got-to-give optimism. But they’re operating at a time when people are willing to accept a little bit of stability and a little bit of safety over issues of human rights. GREENE: That is NPR’s Cairo correspondent Leila Fadel who joined us on this day, the four-year anniversary of the day when Hosni Mubarak was removed from power. Leila, thanks very much.